What is Ubuntu and why do I want it on my Chromebook! Ubuntu is a linux distribution that is widely accepted as the most commonly installed linux distro. It is used as a alternative, althought not a direct replacement, for windows or Mac. Ubuntu extends the functionality of the chromebook, making the chromebook viable for developers, hackers, techies, and the common user. Why not just install windows? The underlying architecture from chrome os is strongly based on linux and Ubuntu. Although Im sure it is possible to install windows on a chromebook you would have the dual boot/chrooted awesomeness of both chromeOS and Ubuntu. How do I install Ubuntu on a Chromebook? To install Ubuntu on a chromebook it must be in developer mode. please reference the following page to learn how to enter developer mode. Once in developer mode you need to download crouton. Open the crosh terminal (CTLR+ALT+T). enter shell mode by typing shell / enter. 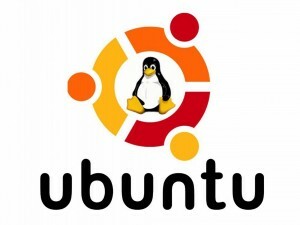 12.04 ubuntu is installed by default. You can switch the release of ubuntu by using the -r command. -t is the target command that specifies what GUI interface you want installed by default. Unity is recommended by me out of the box for Ubuntu for two reasons. it is the default GUI installed when doing a fresh install of Ubuntu. as of this article I do not recommend gnome for the target gui on the HP Chromebook 14. The process will run and install ubuntu on the system. at some point you will be prompted for a user name and password. How do I start Ubuntu on a Chromebook? this will start the unity instance. To transition seamlessly from chromeos and unity press CTRL+ALT+<=(backward) for chromeos and CTRL+ALT+=>(forward). if the machine is rebooted you will have to enter shell and type sudo startunity again. it is possible to install a multiple chroots.